Over the past few days, even as far back as last Friday, I noticed a lot of chatter on a possible Google update. So yesterday, after returning from my family vacation, I emailed Google to confirm that an update was indeed happening. Shortly after receiving my email, they replied that they just confirmed it via Twitter. 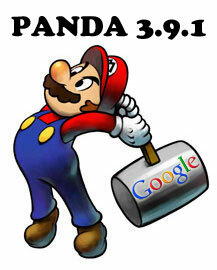 Google said they rolled out a minor Panda refresh this past Monday on August 20th. This refresh only impacted less than 1% of search queries according to Google. The previous Panda refresh was a month prior on July 24th. Yes, I am running out of digits. I guess I can always go to 3.9.9.1.